Afghan officials told reporters this week that Beijing is reportedly holding discussions with Kabul over establishing a military base near China’s border with Afghanistan. Chinese officials reportedly cited concerns about the threat posed by Uighur jihadists in the Afghanistan-Pakistan region, considered by the Pentagon to be home to the “highest concentration” of terrorists in the world. Afghanistan shares a border with the autonomous Xinjiang region—China’s largest province. Xinjiang is home to China’s oppressed Muslim Uighur (or Uyghur) minority, whose separatist groups reportedly train and operate in the Af-Pak region. Kabul and Beijing have been in talks over China’s military establishment since December, but details remain elusive, indicated Mohammad Radmanesh, a spokesman for the Kabul-based defense ministry. “We are going to build it (the base) but the Chinese government has committed to help the division financially, provide equipment and train the Afghan soldiers,” he told the Agence France-Presse (AFP) news agency. An unnamed Chinese embassy official in Kabul only told AFP Beijing is involved in “capacity-building” in Afghanistan, without explicitly confirming any projects. The U.S.-NATO mission in Afghanistan declined to comment. China’s low, but increasing levels of military, economic, and political engagement in Afghanistan are driven by domestic security concerns that violent extremism will spread across the Afghan border into China and China’s increasing desire to protect its regional economic investments. 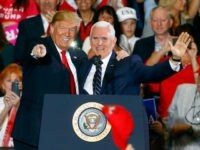 China has been providing military aid to Afghanistan, a move that the American military has encouraged under U.S. President Donald Trump. The army camp will be built in Afghanistan’s remote and mountainous Wakhan Corridor, where witnesses have reported seeing Chinese and Afghan troops on joint patrols. The freezing, barren panhandle of land — bordering China’s tense Xinjiang region—is so cut off from the rest of Afghanistan that many inhabitants are unaware of the Afghan conflict, scraping out harsh but peaceful lives. However they retain strong links with neighbors in Xinjiang, and with so few travelers in the region local interest in the Chinese visitors has been high, residents told AFP on a recent visit there. It also worries that Islamic State group militants fleeing Iraq and Syria could cross Central Asia and Xinjiang to reach Afghanistan, or use the Wakhan to enter China, analysts say. Beijing has already deployed troops to war-ravaged Syria to keep Uighur jihadists there in check. China’s jihadi threat primarily emanates from neighboring Pakistan and to a lesser extent Afghanistan, according to the U.S.-China Economic and Security Review Commission. While China borders mainland Afghanistan, the Asian giant shares an international boundary with Pakistan occupied Kashmir, a region that New Delhi, Beijing, and Islamabad claim as their own. Pakistan and its top ally China consider India to be their regional rival. China is already reportedly planning to establish a military base in Pakistan. Beijing’s interest in building a base in Afghanistan comes amid Chinese President Xi Jinping’s ambitious One Belt One Road (OBOR) project, also known as the Belt and Road Initiative (BRI), which involves pouring billions of dollars into infrastructure across South Asia. The success of OBOR, or the modern-day Silk Road, is contingent upon lasting peace and stability in South Asia, which means China can no longer ignore the war across its border. China has also invested in Afghanistan’s lucrative mineral mining industry, a move that critics believe comes at the expense of America’s sacrifices throughout the ongoing more than 16-year-old war. In October, AFP learned from local members of the Kyrgyz ethnic minority in Afghanistan that Chinese and Afghan military have been conducting patrols on for months. “We were strictly told not to go near them or talk to them and not to take any photos,” revealed Abdul Rashid, a Kyrgyz chief, adding that he had seen vehicles flying Chinese flags driving around Afghan territory since last summer. Nevertheless, both China and Afghanistan continue to deny the repeated claims that they are conducting military operations together, points out AFP. 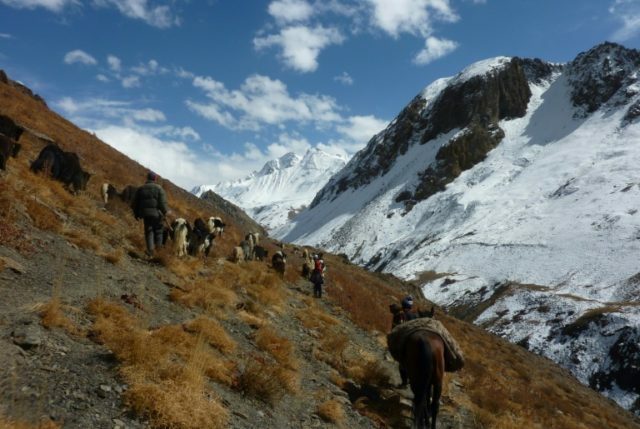 While Kabul’s access to the remote Wakhan Corridor is limited, preventing it from providing many services, China has been bringing supplies, locals told AFP.